Wanchain, a China-based project with an international team and background, has recently released its collection of white papers to the public. The collection includes the white paper, a more technical yellow paper, and a commercial development paper. Wanchain’s vision: to become the infrastructure and platform which connects and exchanges value between different blockchains. Think of Wanchain as a digital bridge; the decentralized version of traditional banks in the current financial ecosystem. Wanchain would connect a user’s accounts between different blockchains. The platform does this through the use of cross-chains, which provide the essential framework to manage and interact with financial applications based around digital currency and assets. “In essence, Wanchain is an infrastructure protocol that allows individuals to exchange digital assets between different blockchain networks in a decentralized way,” said Jack Lu, founder of Wanchain and former CTO of Factom, in an interview with Bitcoin Magazine. “This will significantly boost the liquidity of the digital assets and have the greatest potential to reform the financial market. The foundation of digital assets exchange will be laid with Wanchain. According to Wanchain’s roadmap, the first version of the Wanchain network will be launched in November 2017. It will include a wallet and smart contract functionality before launching an initial coin offering in early September. Wanchain 2.0 will be released in June 2018 to achieve Ethereum cross-chain trading. 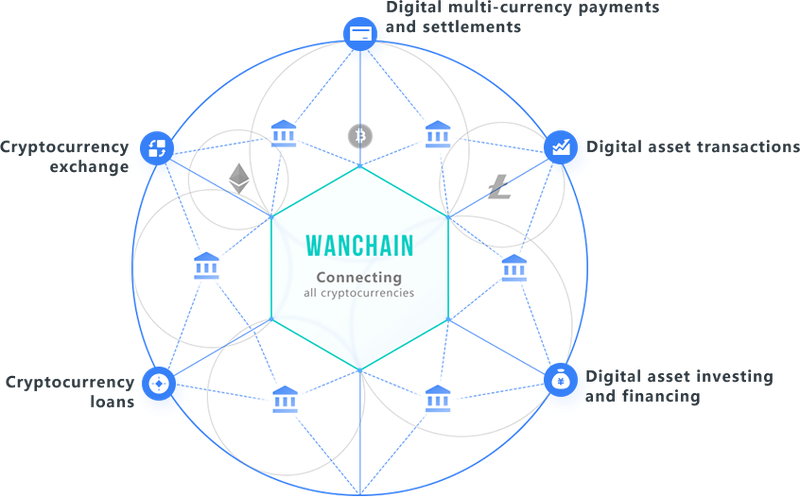 And in 2019, Wanchain 4.0 will allow for cross-chain asset transactions between more blockchain work; even the assets of a consortium chain can be connected with the public chain assets. Wanchain’s core developers are located in China and the United States. The scientific team is led by Mr. Zane Liang, a PhD in applied mathematics, and is located in the United States. Liang graduated from the Department of Applied Mathematics at Peking University, one of the top-rated universities in the world. Zane has also earned a Ph.D. from the University of Massachusetts. He is a specialist in performance computing and has a profound knowledge of cryptographic algorithms and security. Liang’s main responsibilities are to uncover theoretical solutions and verify blockchain technology encryption algorithms. The engineering team is led by Ying Zhang, a senior engineer from Huawei who has served as CAO and CTO of several companies specializing in data processing and high concurrency web services. Before that, Zhang was a senior developer for Ethereum where he garnered a deep understanding of blockchain architecture, smart contracts and consensus algorithms.